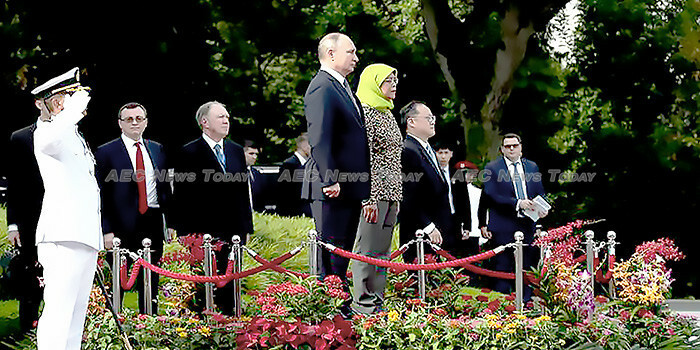 Russian President Vladimir Putin made his first-ever state visit to Singapore on November 13, 2018. Coinciding with the 33rd Asean summit, 3rd Asean–Russia summit, 13th East Asia Summit (EAS), and 50th anniversary of diplomatic relations between Russia and Singapore, the visit marks an important step in Russia’s efforts to broaden its pivot to the East. During the visit Mr Putin and Singaporean President Halimah Yacob co-officiated the ground-breaking ceremony of the Russian Cultural Centre (RCC). The RCC will promote the study of Russian language and culture in Singapore, and facilitate the bilateral exchange of performances, exhibitions, and science and technology developments. The leaders also signed four bilateral agreements on the sidelines of the visit. 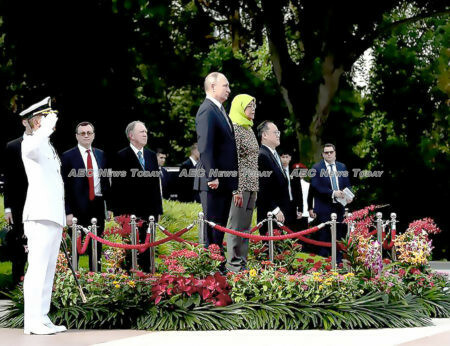 Mr Putin’s visit to Singapore comes nine years after that of former Russian president Dmitry Medvedev in 2009, and more than two years after Singaporean Prime Minister Lee Hsien Loong’s 2016 visit to Russia. In the interim, bilateral trade relations have grown from S$1.9 billion (about US$1.4 billion) in 2007 to S$7.4 billion ($5.4 billion) in 2017. According to 2017 data, 690 Russian companies are present in Singapore and Russia is Singapore’s 24th largest trading partner. Singaporean companies are also active in Moscow, Tatarstan, and the Penza region. Singapore’s stock of direct investment abroad in Russia amounted to S$420 million ($306 million) at the end of 2015, with about 20 Singaporean companies in the country in sectors such as technology, consumer goods and services, infrastructure and trade. Singapore’s economic links with Russia could be further enhanced in the future, with a possible role for Singapore-based liquid natural gas (LNG) company Pavilion Energy (PE) in the US$25.5 billion Arctic LNG 2 project, to be developed by Russia’s largest independent gas producer, Novatek. An agreement outlining this potential area of collaboration was signed by Novatek chairman Leonid Mikhelson and PE CEO Frederic Barnaud on the sidelines of Mr Putin’s visit. The visit also added valuable momentum to efforts by Singapore and the Russian-led Eurasian Economic Union (EEU) to establish a free trade agreement (FTA). Currently Vietnam is the only Asean member to have concluded an FTA with the EEU. Such a development would aid large Russian state-owned enterprises seeking to expand their presence in Singapore and, using Singapore as a springboard, the region. A major geopolitical goal of Mr Putin’s visit was to further rebuff Western attempts to isolate Russia. 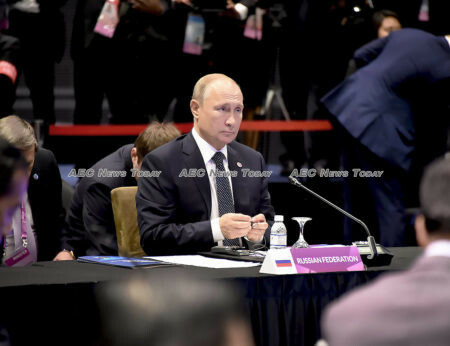 Rather than retreating, Mr Putin’s inaugural participation in the Asean–Russia summit and EAS while in Singapore succeeded in signalling Moscow’s intention to broaden its pivot to the East, which has hitherto focussed primarily on China and Northeast Asia. This broadening has a clear economic agenda. Many of the other EAS countries (the Asean 10 alongside Australia, Japan, India, China, New Zealand, South Korea, and the United States) are already important or growing economic partners of Russia. By attending the two summits, Mr Putin sought to assure Southeast Asian partners — specifically Asean — that Russia is serious about enhancing these ties. President Putin would also like to ‘show the flag’ and perhaps illustrate to Southeast Asia that Russia is a power to be reckoned with in the region and cannot be written off. He is similarly signalling to the United States and China, the current two major powers rivalling for influence in the region, that they should expect Russia to become more active and to seek influence in Southeast Asia. Russia’s growing interest in the Asia Pacific region bears implications for Asean. On the one hand, Asean should welcome a strong Russian presence in the political, economic and cultural affairs of the region. While the current state of the Russia–Asean relationship leaves much to be desired, its enhancement would benefit both sides. Southeast Asia should also neither become hostage to the current tensions between the United States and China nor fall victim to the ramifications of this state of affairs. It is a tall order indeed, but one certainly worth striving for. On the other hand, Asean should be cognisant of the possibility that great power rivalry in the region could only intensify should Mr Putin’s visit lead to higher and more active levels of Russian influence. The United States and China are not likely to welcome any ‘competition’ in this regard. Still, all things considered it is unlikely that Russia will be able or even willing to invest the necessary resources to make itself felt in the region. Mr Putin’s efforts in Singapore suggest that this is not for want of trying or desire. But Russia will act practically, and its current relationships with China, Japan, South Korea, and North Korea are of a higher economic, political, and strategic order than its relationship with Asean. This article was written by Chris Cheang, a senior fellow with the S Rajaratnam School of International Studies (RSIS), Nanyang Technological University (NTU), Singapore who served three tours of duty in the Singapore Embassy in Moscow between 1994 and 2013. It first appeared on East Asia Forum under a Creative Commons License and is reproduced here with its permission.